I received third degree sunburn on Saturday. Sunburn! My attention was focused on digging out weeds from the soft fruit patch and as a result I didn’t realise that my skin was getting toasted. Raspberry and blackberry canes, perfect rosettes of dandelion and (worst of all) a carpet of buttercups; they’d all set up home and needed to be evicted. 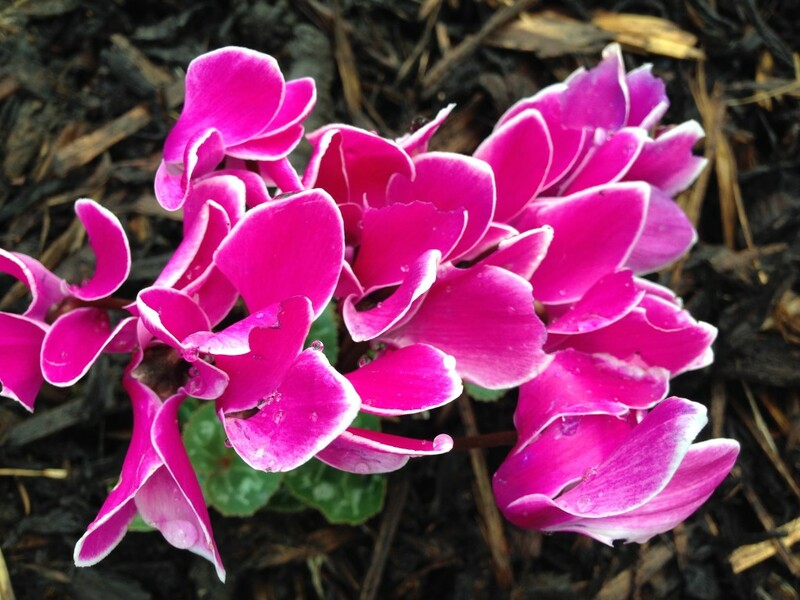 I’ve planted autumn cyclamen in their place for some colour. I also cut out a load of prickly tormenting briars from the raspberries. I’m pondering the future of these raspberries: they fruit well, but they’re unruly and need taking in hand. They’re now coming into ripeness but the bees still hover and hum in their search for nectar. 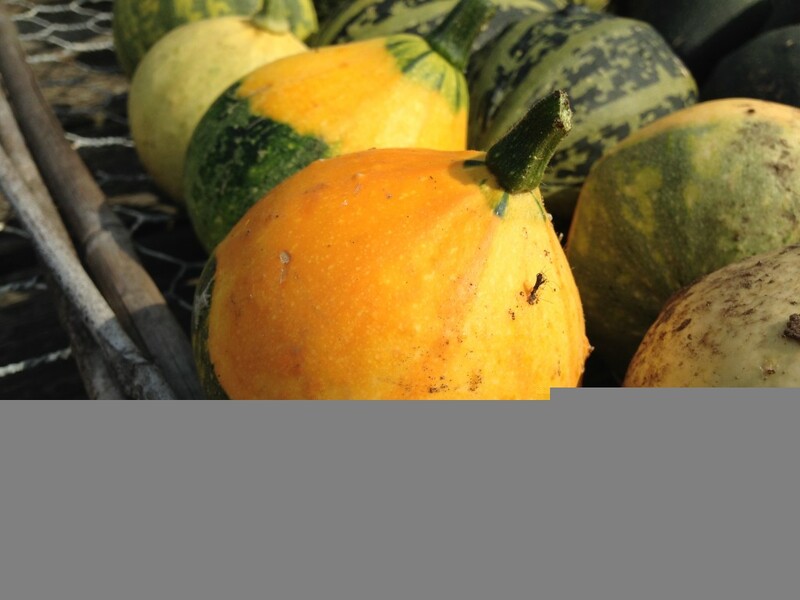 Meanwhile, a harvest, albeit an inedible one: more ornamental gourds, this time yellow and green, slightly gnarled, and rather wonderful. 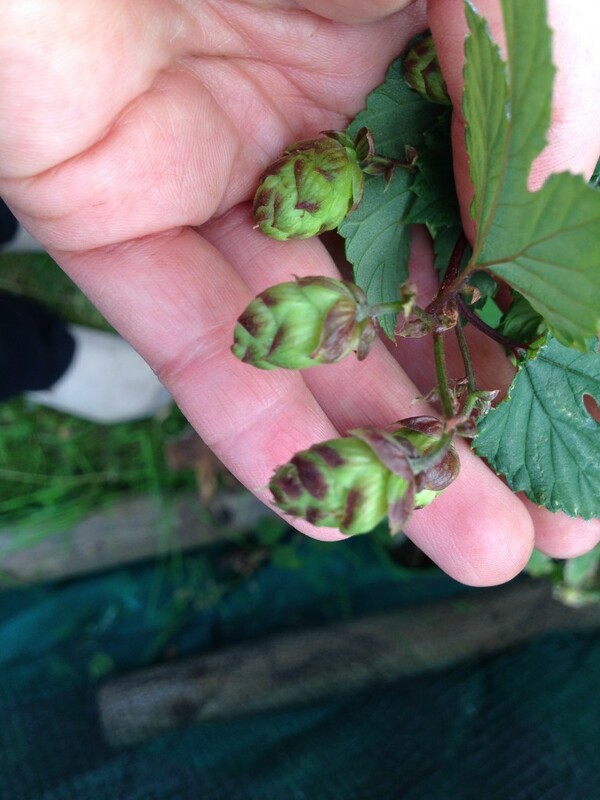 The hops have started to fatten out in the past week, the flowers setting first at the very top and working their way down. They’re green now but will ripen into golden papery pods. The cavalo nero have now been planted out, though they didn’t take kindly to Saturday’s soaring temperatures and are a bit floppy in the picture. I’ve made a temporary bird cage from netting and canes, but need to get something more permanent in place. Left alone, this lot would be devoured overnight. 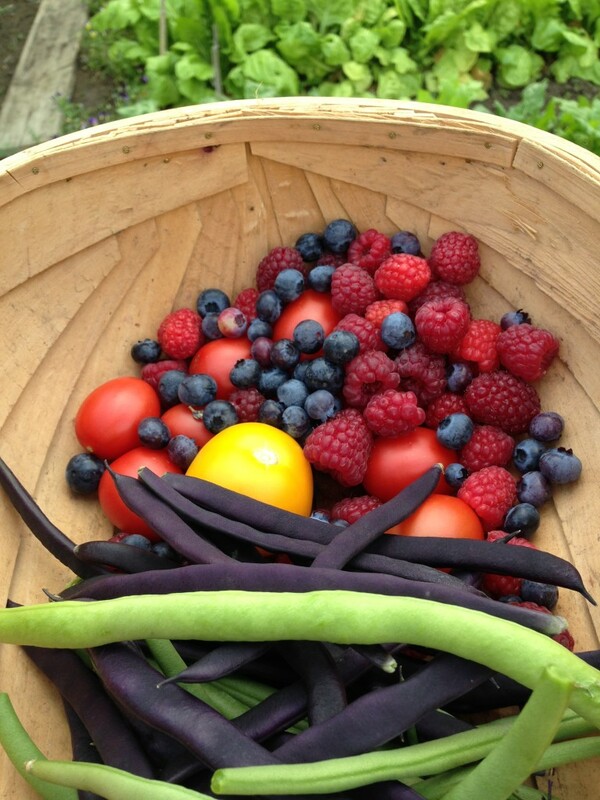 Meanwhile, the blueberries are in full swing, as are the purple beans. 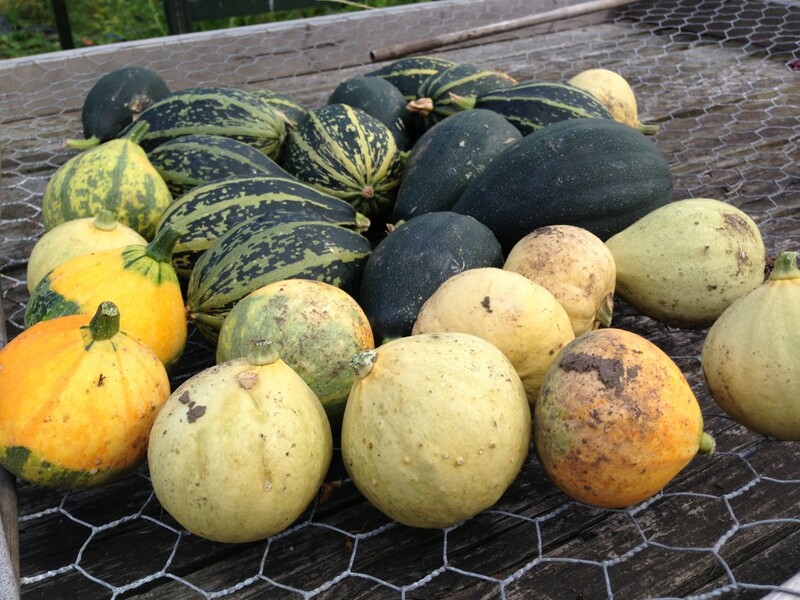 Late summer harvests. 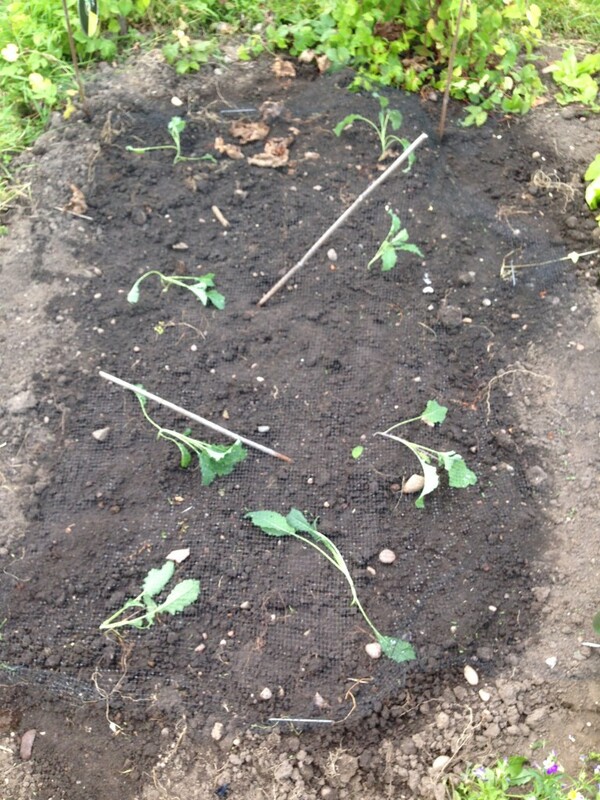 This entry was posted in Allotment, Summer and tagged Cavalo nero, cyclamen, gourds, Hops. Bookmark the permalink.